April 14th. 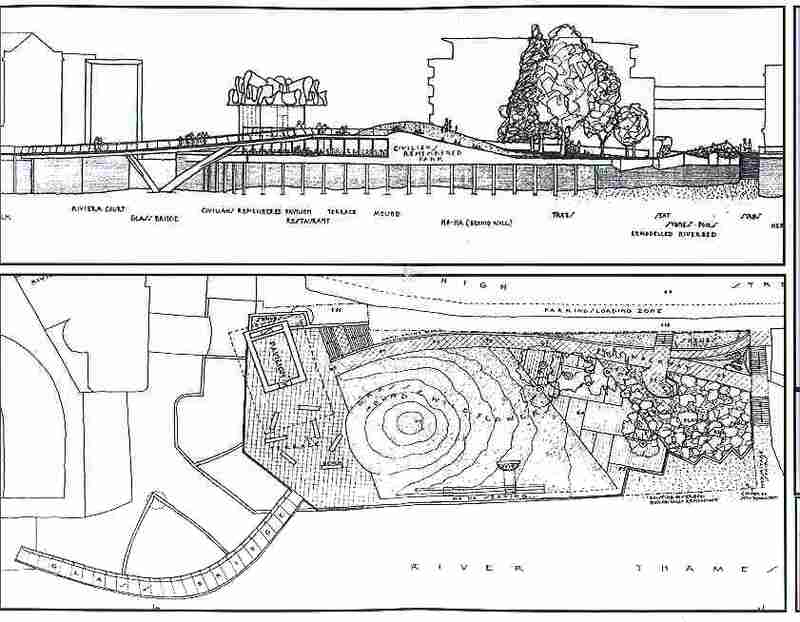 2004 - CR Memorial plan goes ahead - see below! Berkeley Homes offered to provide their location at Hermitage Wharf in Wapping for a Civilian Memorial Park commemorating British Civilians killed during the World War Two blitz. East London bore the brunt of Hitler's frenzied attacks on the heart of this great Capital City. Adolf Hitler vowed to burn this great City down to the ground, sending waves of enemy bombers by day and night to drop their deadly cargo. East London became the front line in the Battle for Britain, yet, the spirit of their people never wavered, on the contrary, despite exposure to relentless enemy bombing, their defiance grew stronger with each passing day, Her Majesty the Queen Mother was proud to identify herself with its people after Buckingham Palace was bombed when she said: "Now I can look the 'East End' straight in the eye". Attending were Katheryn Gustafson, one of the World's leading landscape architects, John Aldenton of the Environment Trust, and Piers Gough, East End resident and architect of Mile End Park's unique and amazing 'Green Bridge', they will help to design the Civilians remembered Memorial Park. An invitation was extended to friends and supporters of the Civilians Remembered Campaign to attend A PUBLIC EXHIBITION at the John Orwell Sports Centre in order to raise awareness to all civilian suffering in war and to create a National beacon for promoting understanding and peace amongst the peoples of the World. Other Public Exhibitions were also opened at The Museum of London and Imperial War Museum.